Given the fact that floor is indeed the biggest visual element of a room, selection requires greater attention. For this reason, online retailers offer greater selection on various types of flooring solutions. From different colour patterns which are more crisp and sophisticated to Eco-friendly floors that are safer and allergen-free. Each year we see different home trends that hit the high street. But lately, it is the vinyl flooring that has been catching the attention of many homeowners. It’s one of the fastest growing trends in the flooring industry, thanks to it’s durability, comfort under foot and resistance to moisture and scratches. Hence, the boost in vinyl flooring online sales. Of course, just because certain floor type rocks the world of interior design, does not mean it is suitable for everyone’s taste or budget. 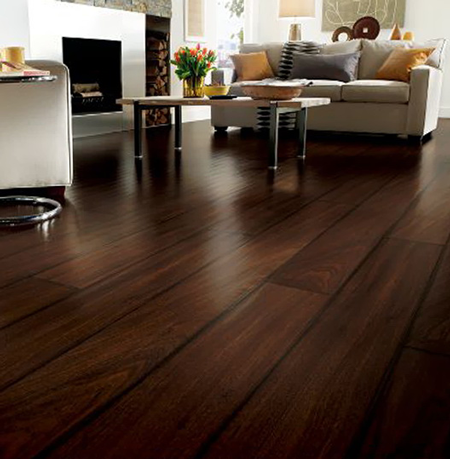 Check out the flooring trends for 2014 that are here to stay. Cork – Compared to traditional hardwood floors, cork is far more comfortable and gentle under foot. There is a wide range of colour palettes which can match any room layout and interior. This flooring solution is affordable, durable and aesthetic. If properly maintained, it can last for more than 20 years. The only downside of this floor is that it fades when exposed to sun and it is not resistant to water and moisture. Hardwood – Hardwood floors will simply never go out of style. But, not everyone can afford them. Also, unlike vinyl, hardwood is a little bit hard to walk on and is not resistant to spills or scratches. Hardwood floors are designed to match any decor and bring that unique rustic style. Luxury Vinyl – Vinyl is definitely one of the most popular flooring solutions at the moment. Although flooring retailers have had some struggles over the last 5 years, thanks to the growing popularity of vinyl coverings, experts forecast growth for 2014. Increase in the demand for vinyl coverings has caused an increase in vinyl flooring online sales which retailers believe will continue. Vinyl floors are durable and water resistant, which makes them perfect for bathrooms, kitchens and laundry rooms. This flooring type can withstand scratches and high foot traffic and can last for at least 20 years (with proper maintenance). Therefore, this is an economical flooring solution. Check out different patterns, colours and designs of vinyl flooring online and get the one that perfectly matches your interior decor.